Starting a rock band in high school is typical. Keeping with it and growing as a rock musician, post-high school angst – not so common. Portland-based alt-metal band, Veio, prove that good things can stem from your teenage years, but that’s just the start. Melding prog, metal and hard rock, Veio conjures up their own brand of hard rocking tracks. Their second full length release, Infinite Light / Desperate Shadows, is due out in March 2017. Prog Sphere has teamed up with the band for an exclusive premiere of the lead single from the new album. Watch a music video for “Structures” below. Brett (drums) and Cam (vox, guitar) began performing as Veio in college, having played together in high school. Having cycled through musicians and placing ads for new bandmates on Craigslist, while forming a solid fanbase in the NW scene, the band has finally solidified their secret recipe with their current lineup. With the addition of Trae (lead guitar) and Kris (bass) came sonic maturation. 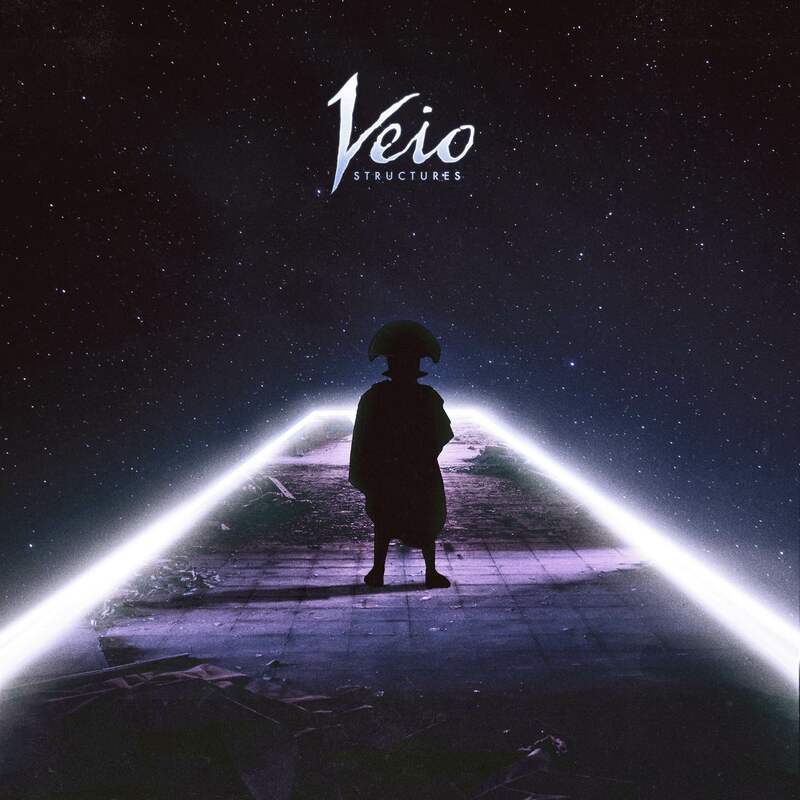 The freshly formed Veio lineup brings a complex, heavy sound, with notable time signature changes and vocal anthems that peak during choruses, but don’t fizz out. Their sound works to unite both prog rock fans and metal fans, alike, with their carefully crafted song structure, tone and master level of musicianship. With the Pacific NW scene already under their heavy handed spell, the band is branching out to an international community with their upcoming release. With Portland, Eugene and Seattle headlining dates coming up next month, the band is gearing up for their West Coast tour in March. Following up on their 2010 EP, Victus Per Leo, and their 2013 debut full length, The Antidote, Infinite Light / Desperate Shadows is the first studio release from the band’s newly formed lineup. Lead single, “Structures,” unfolds the inner workings of a journey through life, with the end goal of finding a permanent home and coming to terms with a spiritual end. The band states, “‘Structures’ unfolds the physical, spiritual and emotional battles we face as we move through our journey towards self-actualization. By resolving lifelong struggles, one is able to find a secure, permanent home, and make peace with the idea of reaching a spiritual end destination.” Wavering between darkness and light, the video walks viewers through the turbulent journey, while foreshadowing a peaceful resolution. “Structures” was recorded, mixed and produced by Stephan Hawkes at Interlace Audio in Portland, OR; the video was produced by Totally Serious Productions.